In 1988, Brazil's constitution was adopted and a period of five years was put in place to decide the outcome of Amerindian tribal lands. Now, 25 years later, those disputes are still going on, but solutions could finally be in sight. Over the last three months, a series of meetings have been held by a Commission led by the National Council of Justice to examine the land dispute and come up with suggestions to rectify it once and for all. 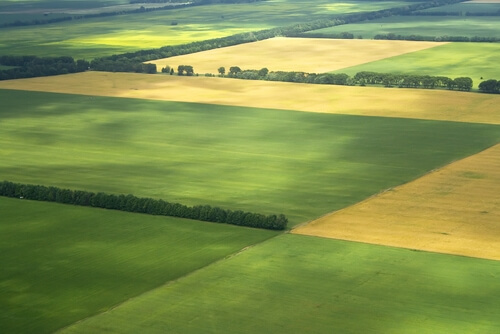 This week, it presented its findings in a report with suggestions that would appeal to both the Americans and the farmers in Mato Grosso do Sul. The suggestions are still preliminary and will need to be revised before being sent to Brazilia, but are reported to include remedies that range from foreclosure of land to indemnification. The reason for the dispute of land is the value that it holds for the country's export marketplace. Highly sought after commodities such as soybeans, oranges and coffee are grown and shipped from rural regions like Mato Grosso do Sul. This means that problems in these areas can lead to local and national issues with agriculture and the economy. While this is just a list of suggestions and could lead to no ultimate solution, there are some quality minds behind it. Sérgio Fernandes Martins, the leader of the Commission, knows that resolving this matter is the Executive's responsibility. On top of that, Gustavo Passarelli, a lawyer acting on behalf the Federation of Farming of Mato Grosso do Sul, claims that the focus should be on indemnifying the farmers. This entry was posted on Monday, July 29th, 2013 at 6:31 am and is filed under Business Law. You can follow any responses to this entry through the RSS 2.0 feed.